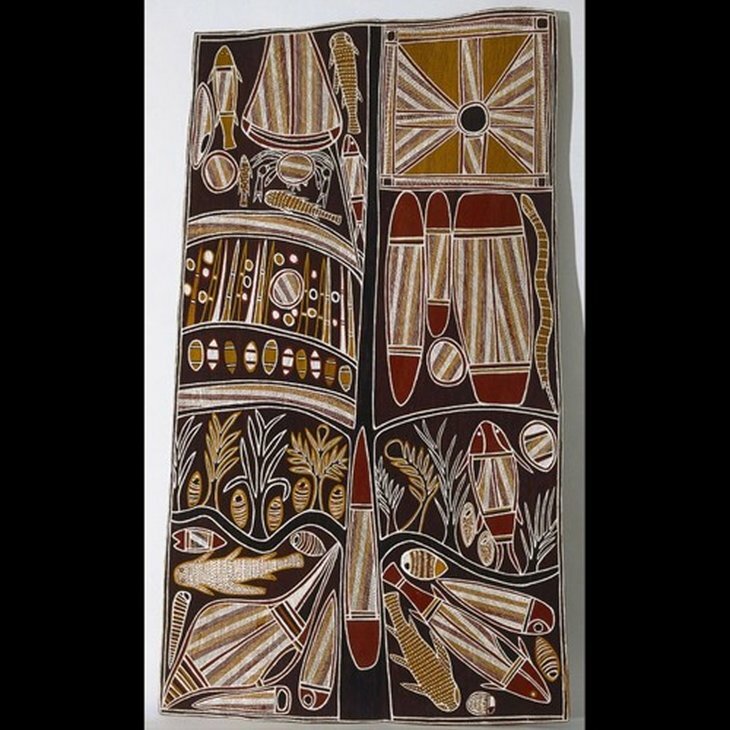 Explore a world of art, including Australian art from colonial to present day, Aboriginal and Torres Strait Islander art, old masters, Asian and contemporary art. Suitable for 5-12 year olds (with an adult). When contemplating this picture it is useful to bear in mind that the second half of the nineteenth century was a period remarkable for archaeological researches and discoveries, especially by English expeditions. 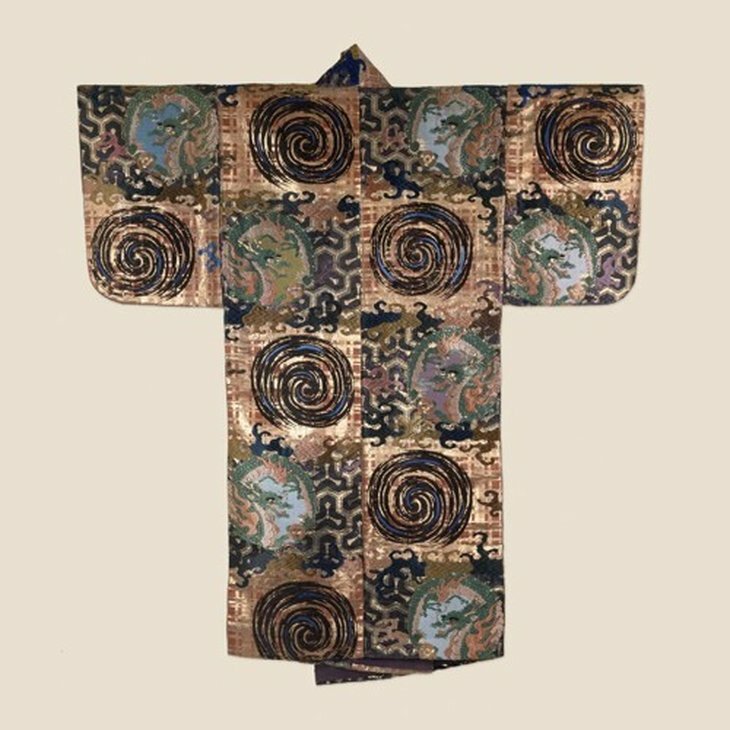 The British Museum was a treasure house of antiquities increasingly valued by artists as a reference library. Egypt and the Middle East replaced Greece and Italy as the focus of curiosity. 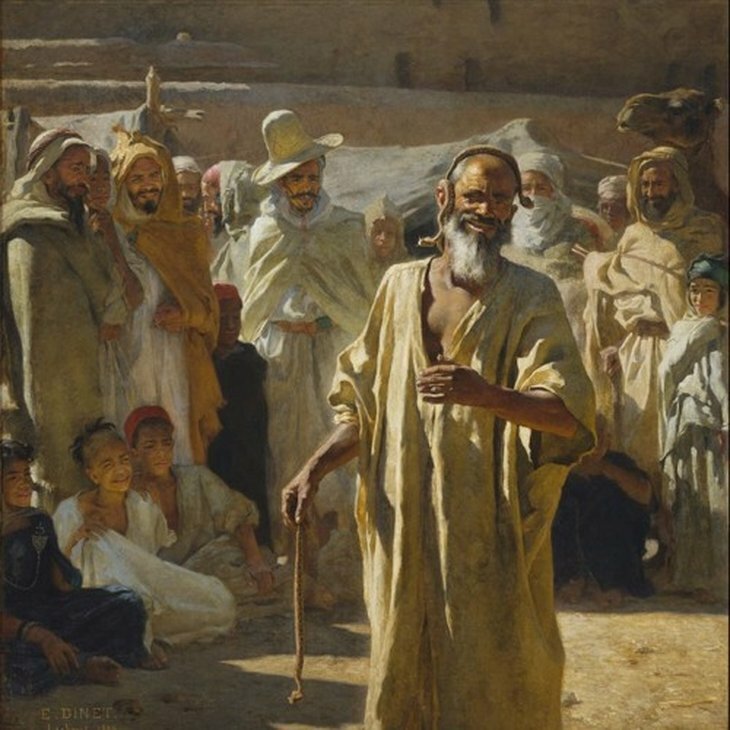 'The visit of the Queen of Sheba to King Solomon' can be contextualised against a craze for orientalist narratives in literature, music and visual art. 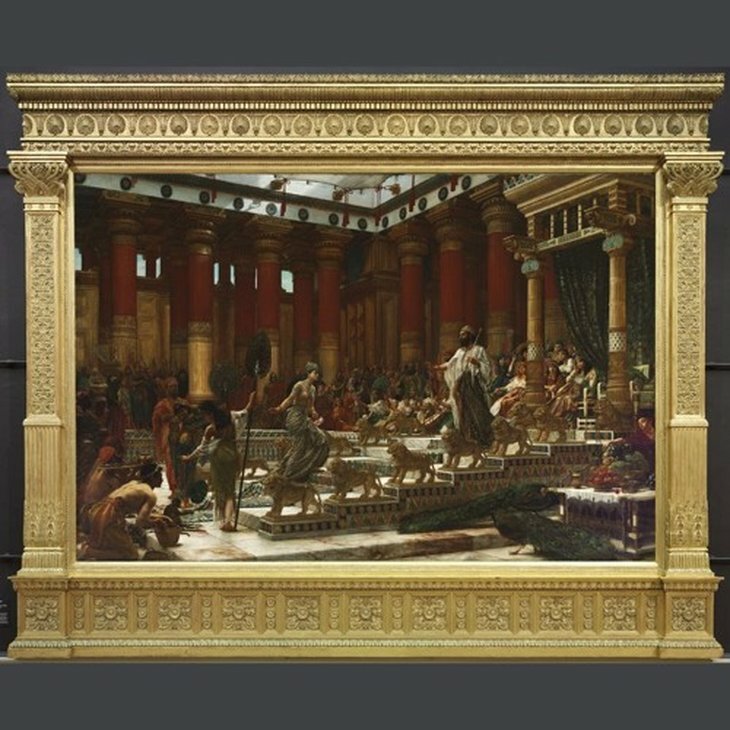 The wildly composite architectural system of Solomon's temple is reprised in the frame, which bridges the temporal and spatial distance between viewer and subject. The artist has been so obsessed with the accuracy of his details, however, that the figures seem somewhat doll-like. 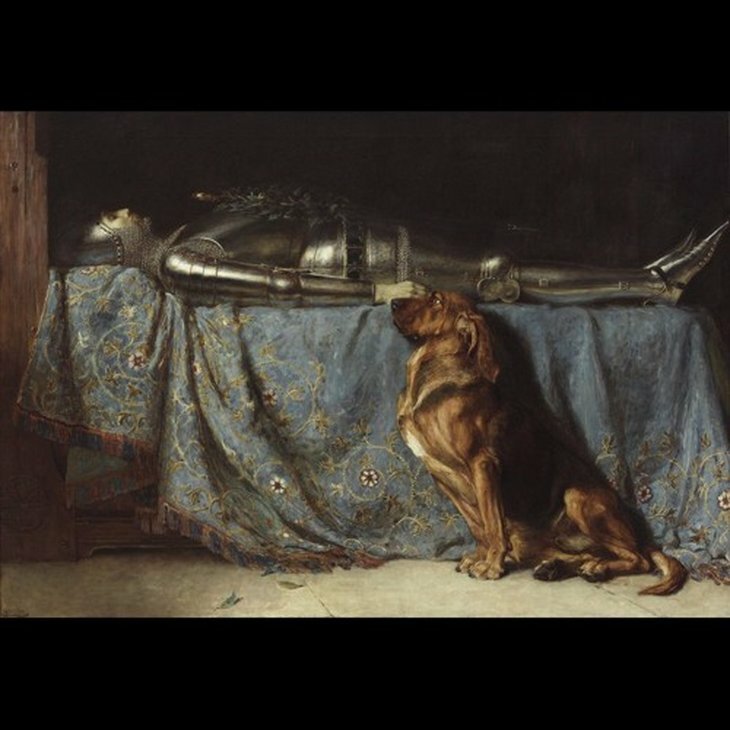 Trained in Paris under Gleyre, Poynter was at heart a Salonist for whom artistry resided in weight of detail rather than dramatic synthesis. AGNSW Handbook, 1999. 'The flood in the Darling 1890' is one of several ambitious canvases painted by WC Piguenit in response to the devastating rains that inundated the western region of New South Wales in 1890. It reflects his respect for the terrifying yet sublime power of nature so admired by exponents of 19th-century German Romantic painting. The largest flood recorded since 1864, waters broke the embankment and submerged the remote township of Bourke – an event Piguenit witnessed first hand. 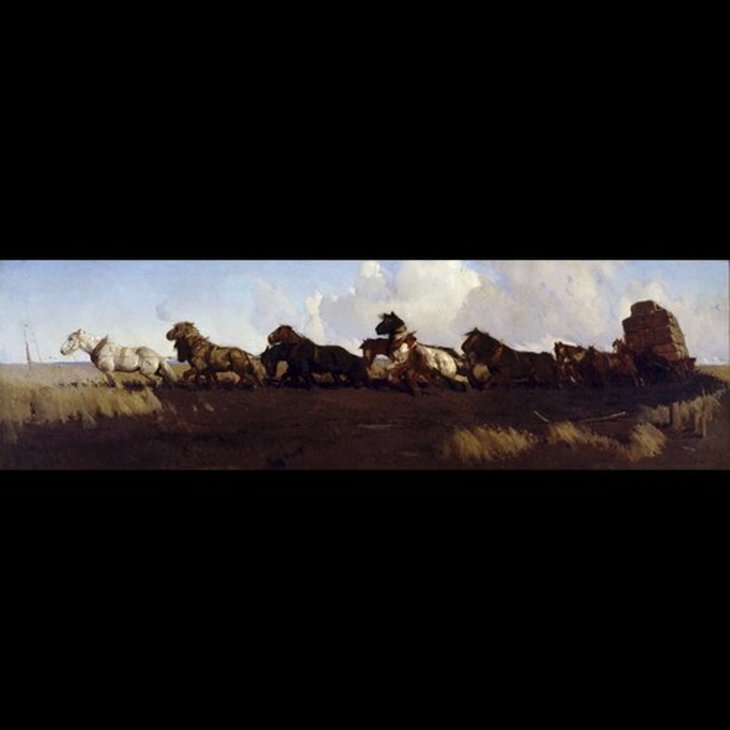 However, rather than depicting the destroyed buildings and railway lines, and the loss of livestock and human life, he has rendered the calm after the deluge. 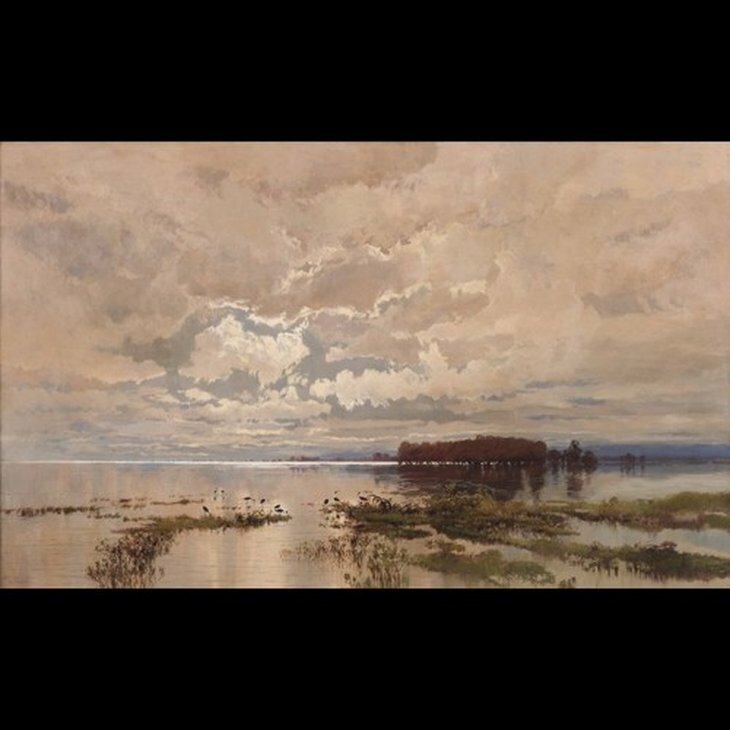 A vast expanse of sky, land and water is rendered as a symphonic celebration, with billowing purplish-hued clouds reflected across a vast glistening expanse reaching towards the viewer – ibises the only living creatures populating the tranquil landscape. Son of a convict transported to Van Diemen's Land in 1830, William Charles Piguenit was raised and schooled in Hobart, and spent 22 years working in the Department of Lands survey office as a draughtsman. 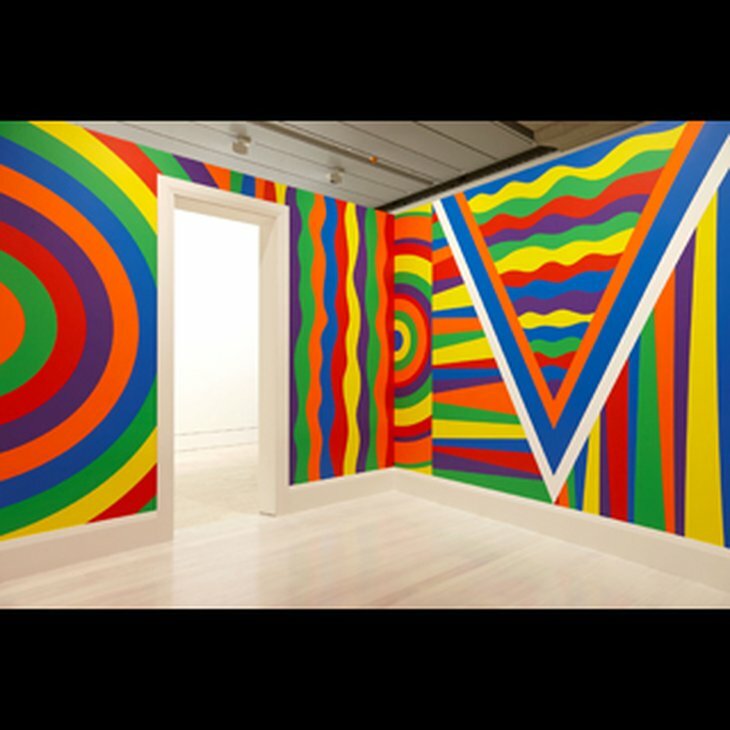 Although he received rudimentary instruction in painting, he was largely self taught. After leaving the survey office in 1872, he began making sketching and photography trips to remote and spectacular regions in the Tasmanian wilderness. 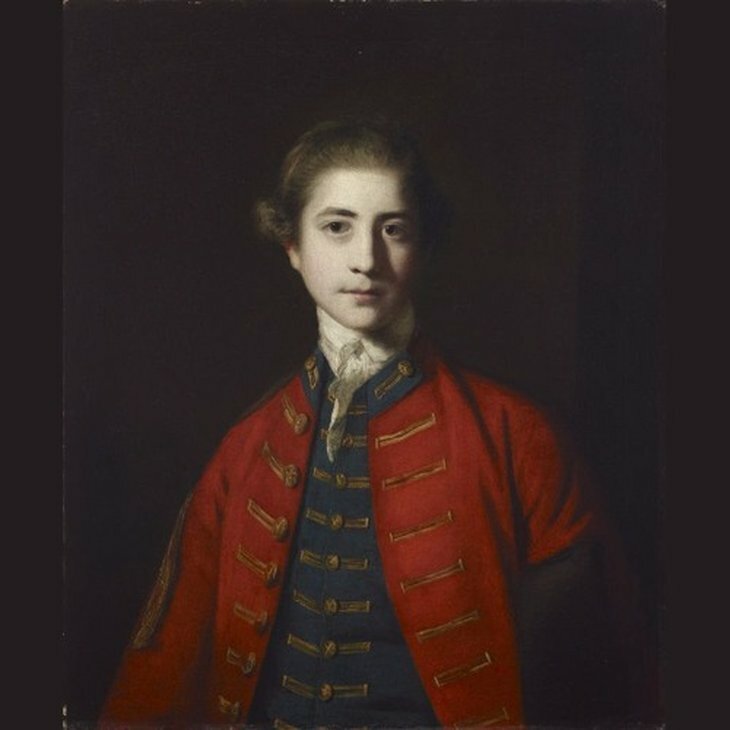 He achieved early success through public patronage when he exhibited his works in the annual Sydney and Melbourne academy shows. His striking 'Mount Olympus, Lake St Clair, Tasmania, source of the Derwent' was the first work by an Australian-born artist to be acquired, in 1875, by the Art Gallery of New South Wales. 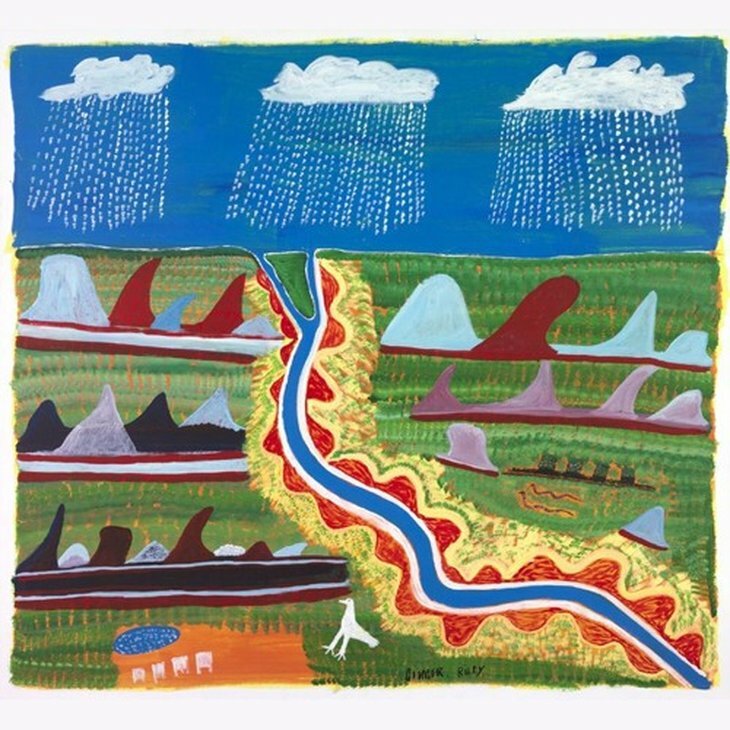 That same year, Piguenit joined an artists and photographers camp in the Grose Valley in the Blue Mountains. By 1880 Piguenit had settled in Sydney with his family. 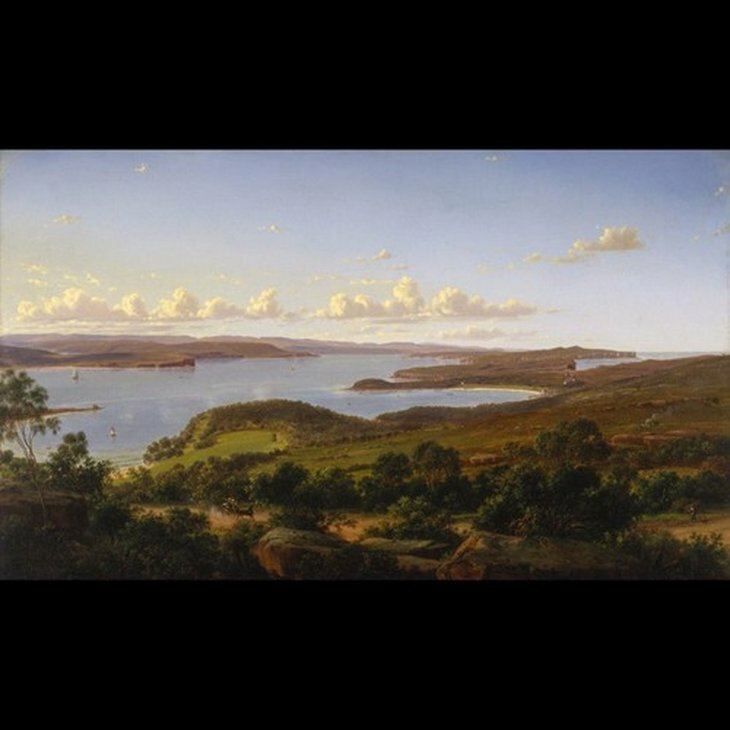 Continued patronage by the Gallery enabled him to tour New South Wales and Tasmania, providing fresh inspiration for his grand, sweeping landscapes and measured studies of the natural environment. 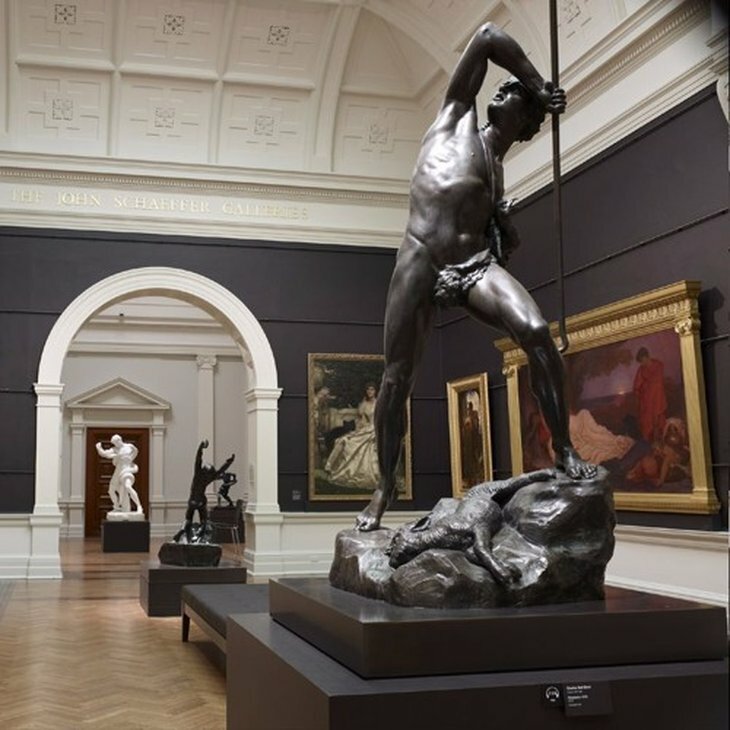 Piguenit continued his successful career well into the 20th century, including the completion, in 1903, of the commanding 'Mount Kosciusko' which was commissioned by the trustees of this Gallery; the majestic depiction of the continent’s highest peak marking the enormity of the Federation of Australia in 1901. 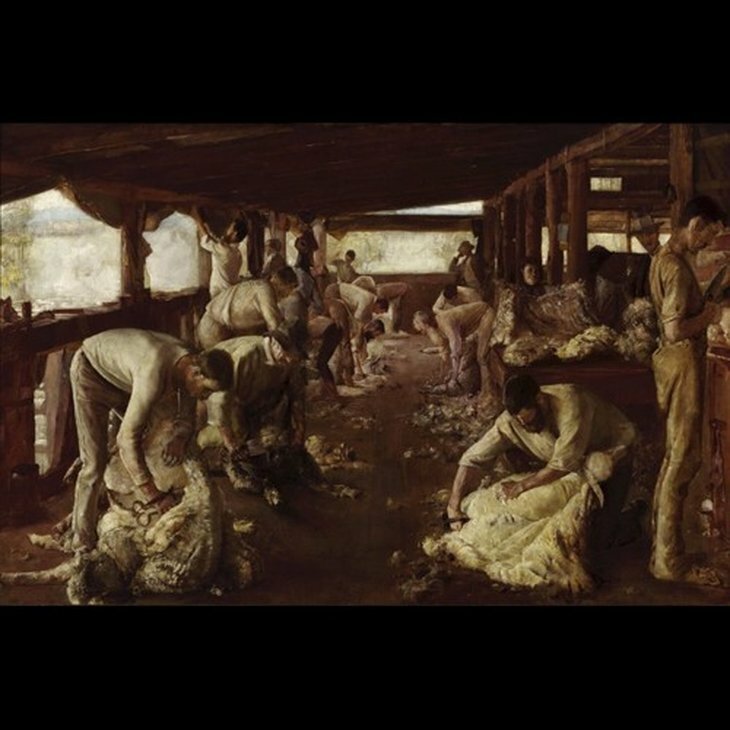 Tom Roberts painted 'The Golden Fleece' while staying at Newstead Station in the New England tablelands of northern NSW. It is part of a series in which Roberts payed homage to rural life and pastoral industry, and captured vanishing traditions such as the use of manual shears. Originally called 'Shearing at Newstead', this painting was renamed to reference the Greek myth in which the Argonauts voyage to the end of the world in search of the Golden Fleece. 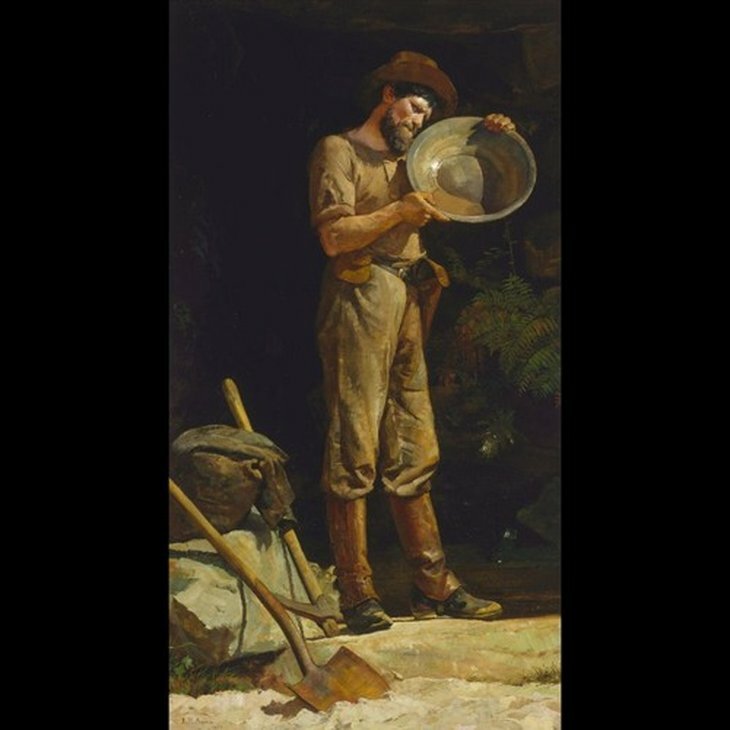 The title reflects Roberts' creation of the rural worker as 'hero', and his evocation of Australia as an Arcadian land of pastoral plenty. 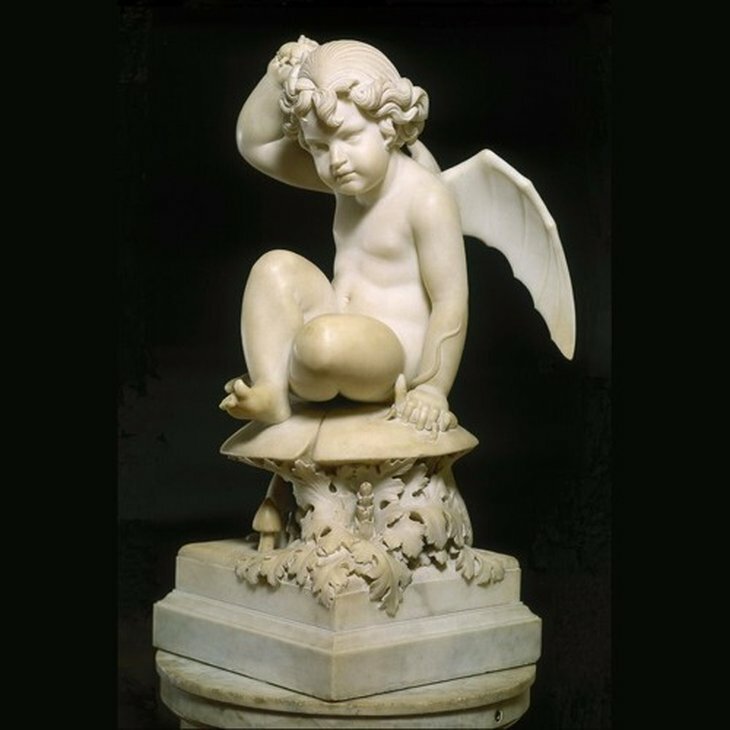 The work's frame is attributed to John Thallon, the famous 19th-century Melbourne carver and gilder, and was restored in 2010. 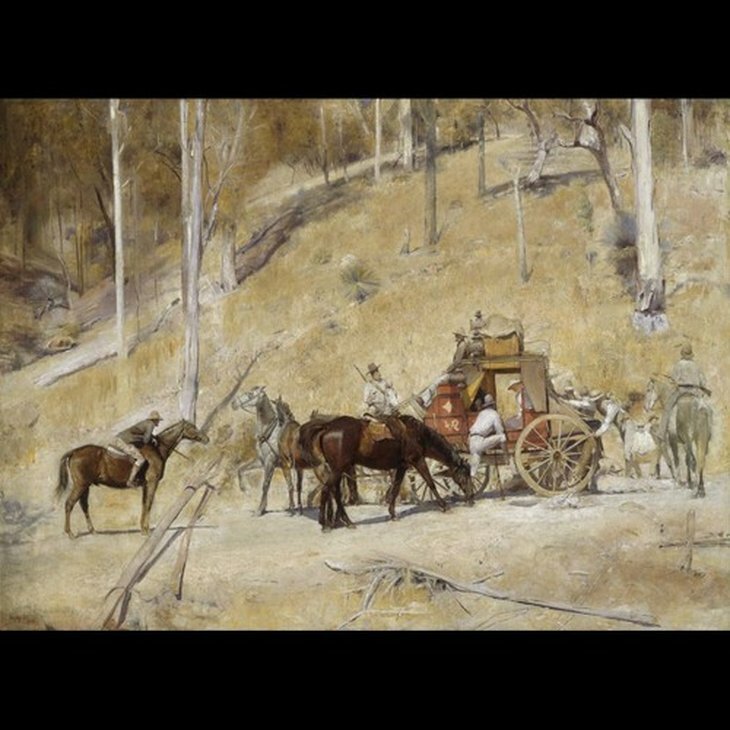 Tom Roberts conceived the idea of a bushranger picture while he was staying at Inverell in northern NSW. He painted 'Bailed up' largely en plein air. It tells as much of the qualities of the local landscape as of its staged drama. Roberts superbly captures the summer heat conditions, which render to stillness the dramatic circumstances of a Cobb & Co hold up. The scene was painted from a purpose-built platform in a stringy bark tree, giving the work its high vantage point. Roberts modelled the figures on Inverell townspeople, including stagecoach driver 'Silent Bob Bates' who had been held up by local bushranger 'Captain Thunderbolt' three decades earlier. 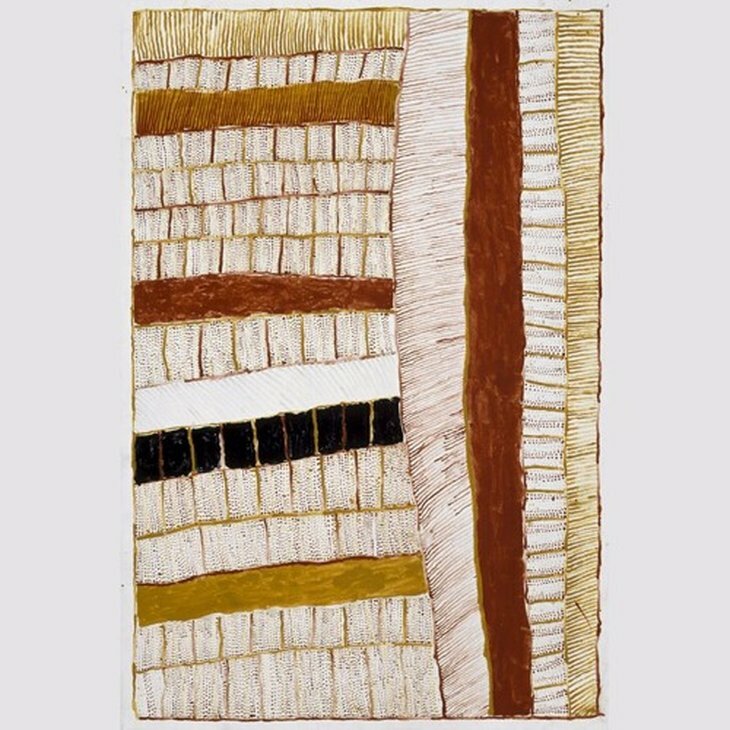 Inspired by his experiences as a youth in the bush near Warren, NSW, George W Lambert began this ambitious work at the age of 26, while living with his mother at Hornsby. 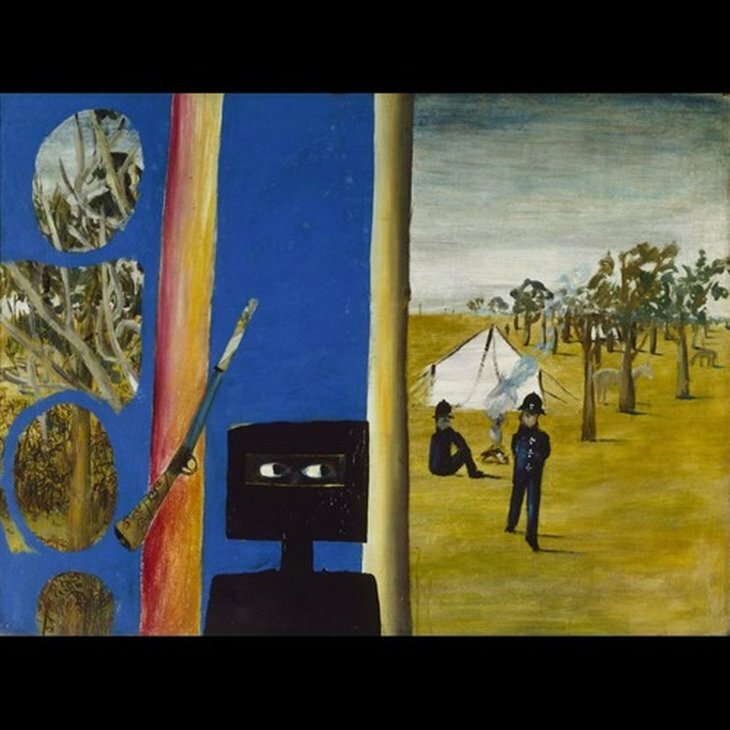 He worked in a small shed in the garden, and had to position the painting diagonally across it, even then unable to stretch the canvas to its full extent. 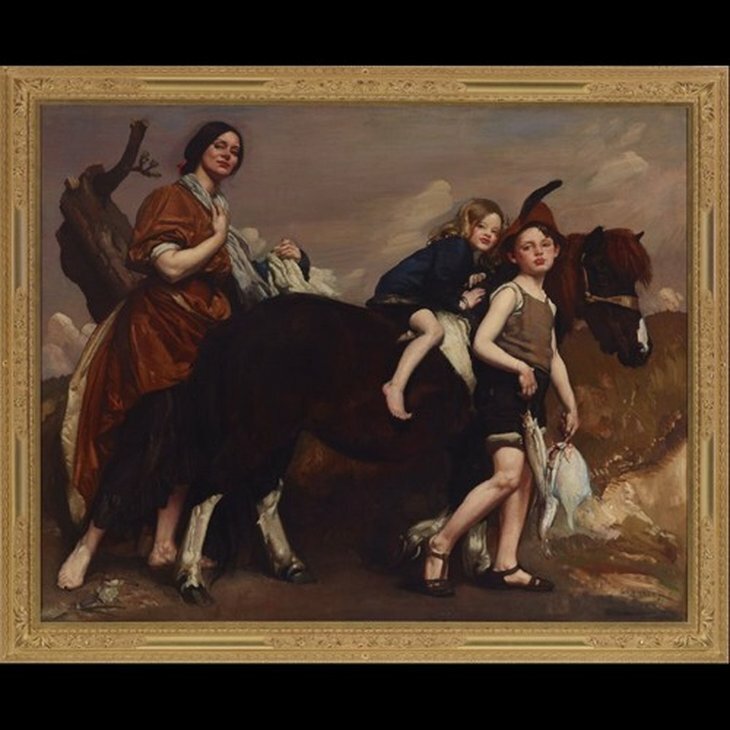 The painting was enthusiastically received as a heroic portrayal of bush life, displaying Lambert's innate skill at draughtsmanship. 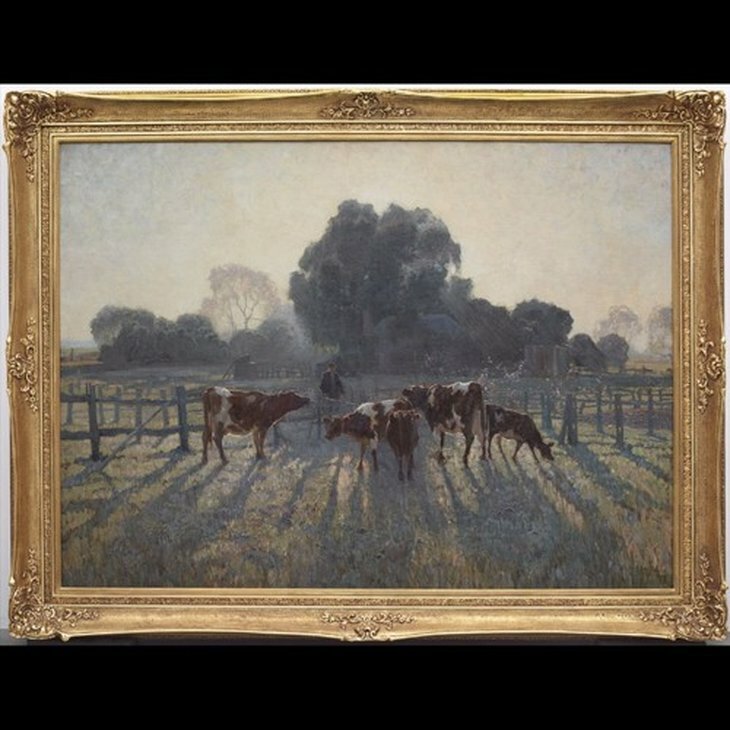 It was awarded the Wynne Prize for landscape painting for 1899, and the following year Lambert left for London with the first New South Wales Society of Artists Travelling Scholarship. 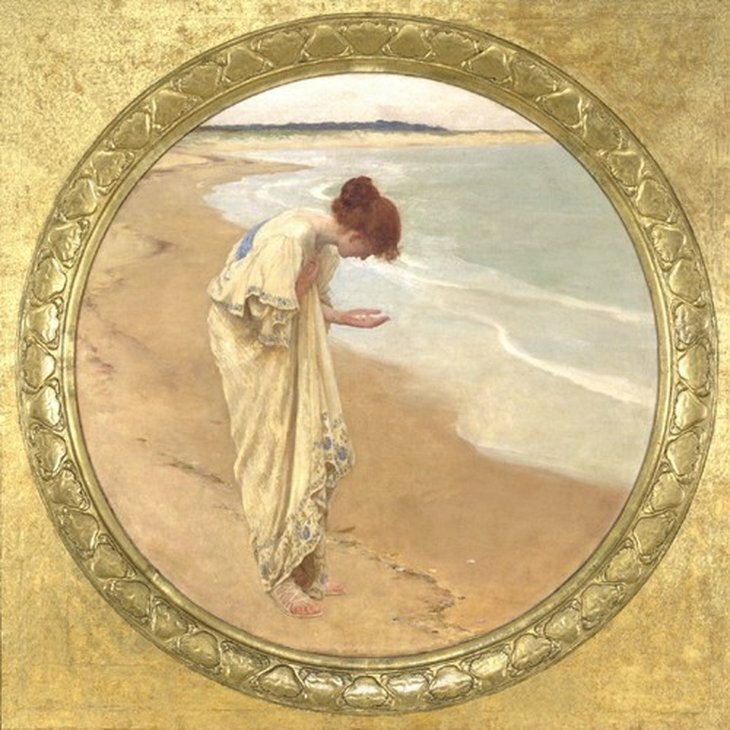 This work was acquired by the Gallery in 1899. Awarded the Wynne Prize in 1919 and painted the same year as Roland Wakelin's and Roy de Maistre's experiments in colour harmony, 'Spring frost' is one of Elioth Gruner's most critically acclaimed achievements. With its impeccable sense of light and tone, and its vigorous foreground brushwork, 'Spring frost' is a tour de force, and perhaps the most loved Australian landscape painting in the Gallery. Elioth Gruner painted 'Spring frost' according to 19th-century plein-air conventions, but the work also demonstrates a contemporary succinctness of form. To complete the painting - one of his largest compositions - en plein air, Gruner built a structure to protect the canvas from the weather, and wrapped his legs with chaff bags to avoid frostbite. Although painted largely outdoors at Emu Plains, its large size and somewhat theatrical quality make it likely that Gruner completed parts of it later, in his city studio. 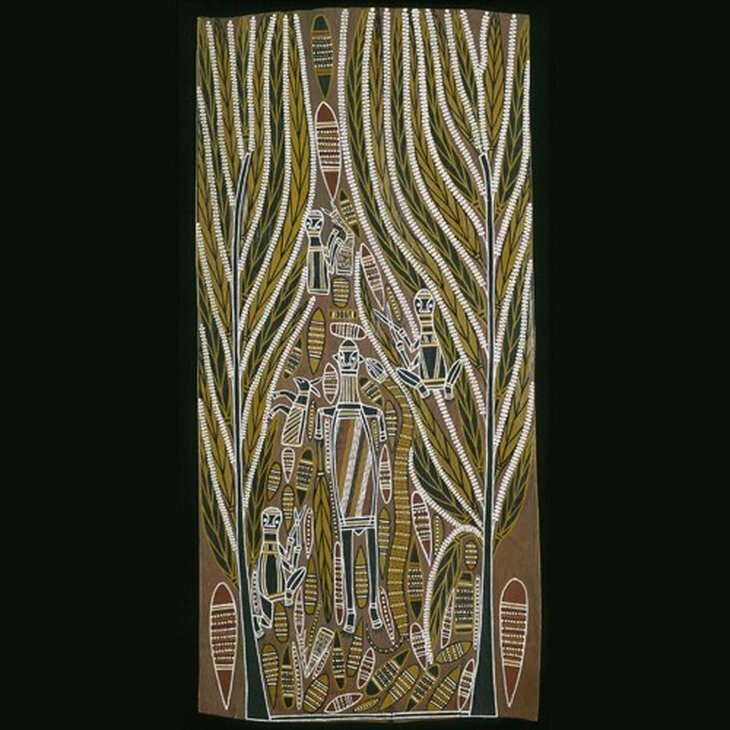 This work was acquired by the Gallery in 1939. Throughout its construction, which was completed in 1932, the Sydney Harbour Bridge inspired many artists to redefine their visions of the city and the harbour by incorporating this new industrial structure. This painting shows the massive frame-work in mid-construction, emerging from the shores of North Sydney. 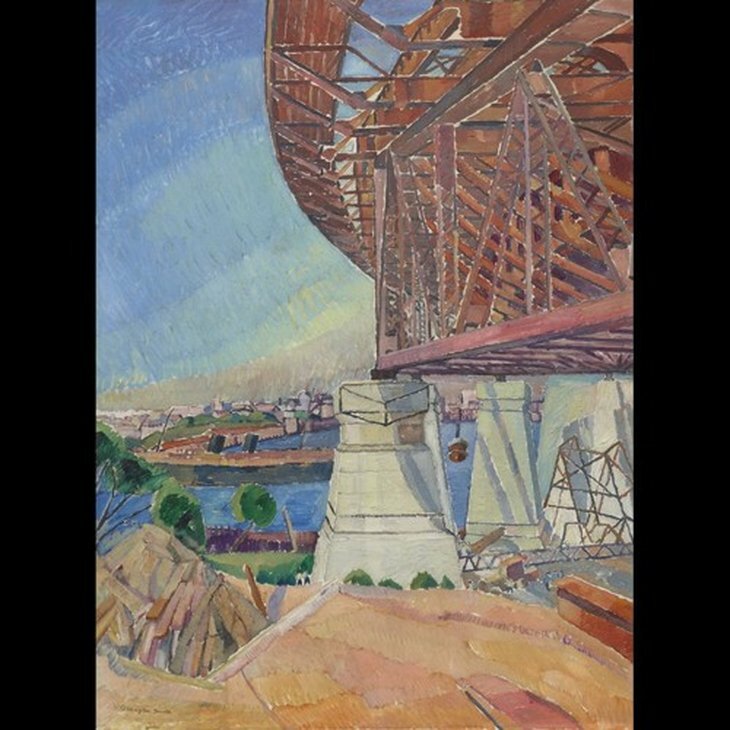 It reveals Grace Cossington Smith’s view of the bridge as a dynamic work-in-progress. In a powerful translation of forms through colour and light, the painting radiates optimism and energy in a celebration of modern engineering and, more broadly, the modern age. The artist made many pencil studies onsite, which she inscribed with notes on colour, took back to her studio and transformed into an iconic expression of Sydney’s most enduring urban monument. 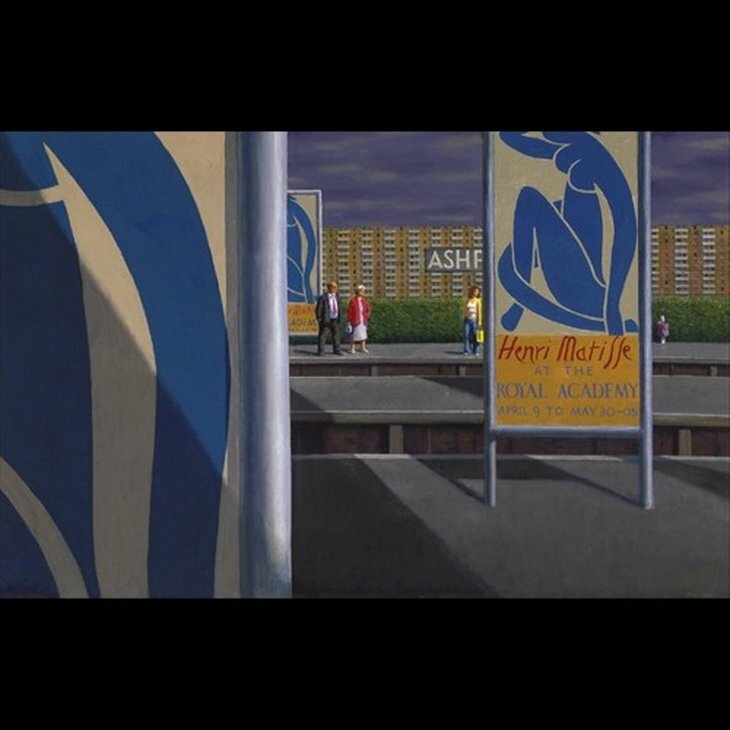 Charles Meere was one of a group of Sydney artists whose work modernised classical artistic traditions as a means of depicting national life during the inter-war period. 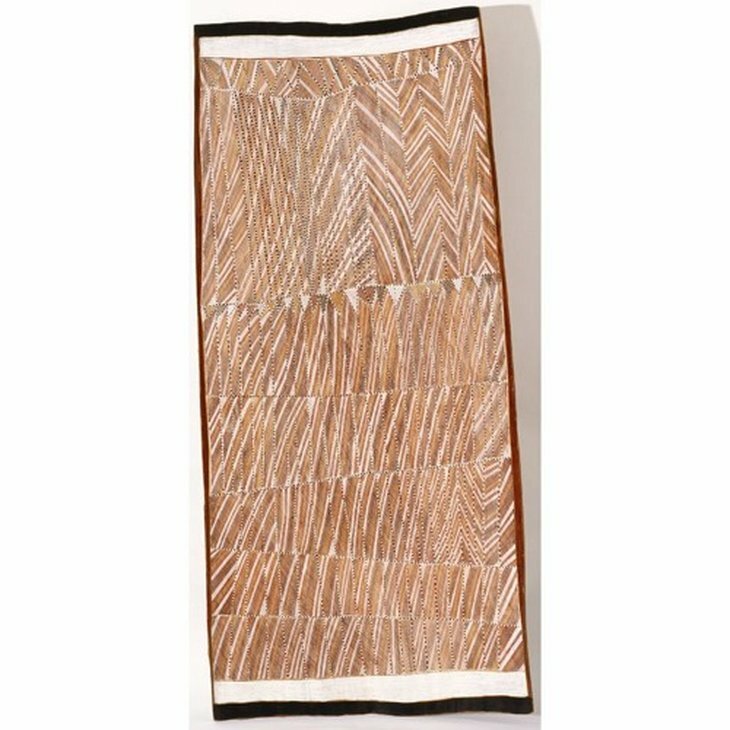 The epitome of his vision is Australian beach pattern, a tableau of beach goers whose athletic perfection takes on monumental, heroic proportions. Meere created a crowded and complex composition through the pattern of figures, which appears as a still-life of suspended strength. 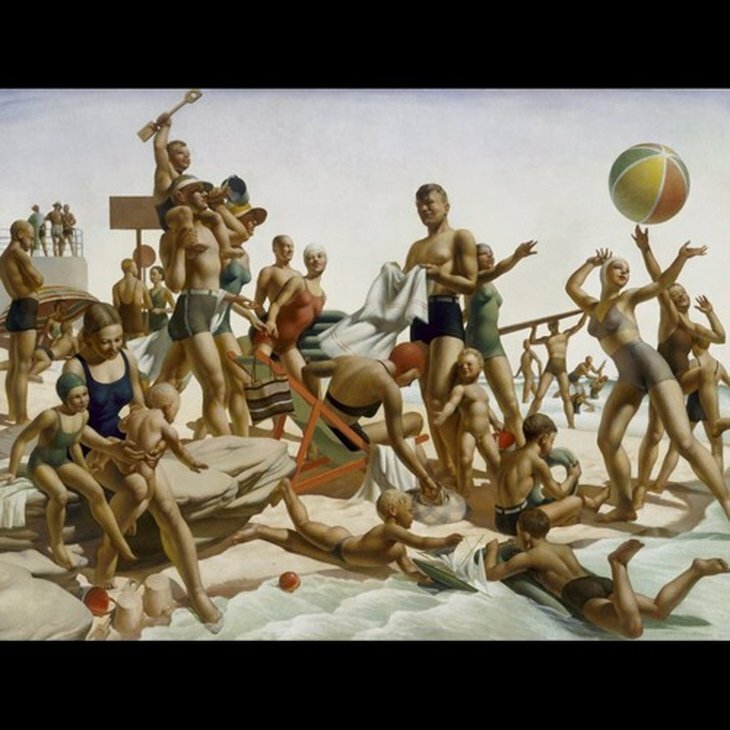 This iconic painting encapsulates the myth of the healthy young nation symbolised by the tanned, god-like bodies of the sunbathers. 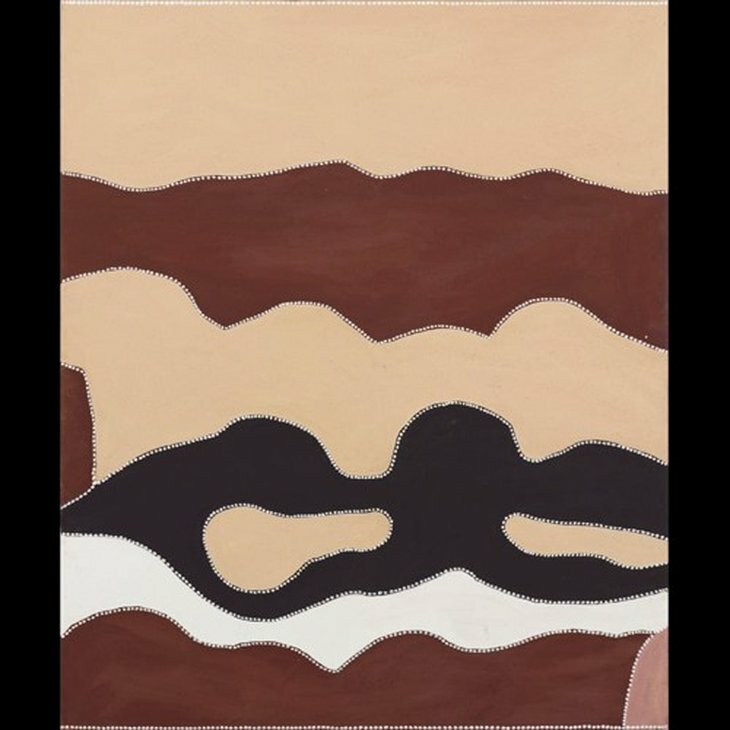 This work was a finalist in the 1940 Sulman Prize and was acquired by the Gallery in 1965. 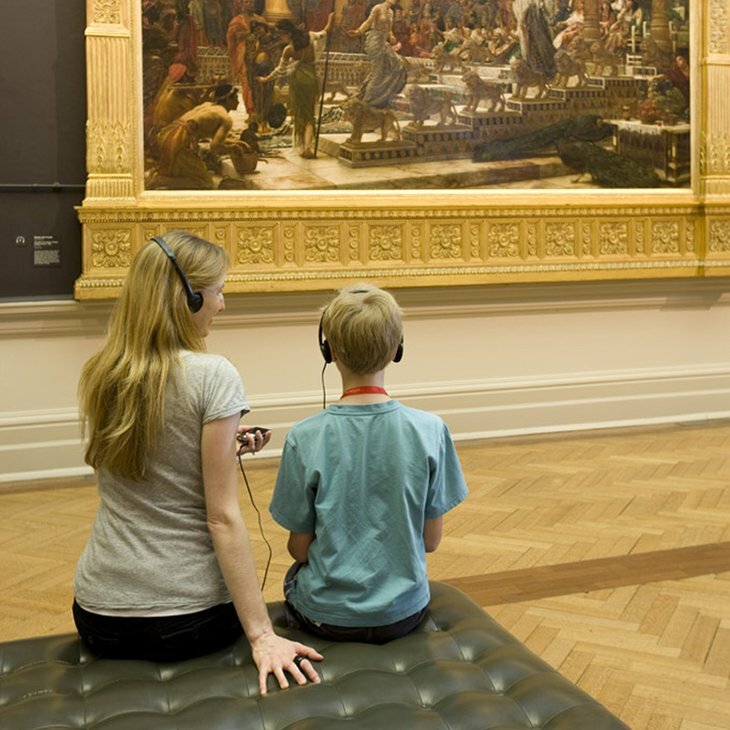 'Von den Verlorenen gerührt, die der Glaube nicht trug, erwachen die Trommeln im Fluss' is the title of each of two works, one painting and one floor installation. It is not uncommon for Kiefer to use the same titles again and again. 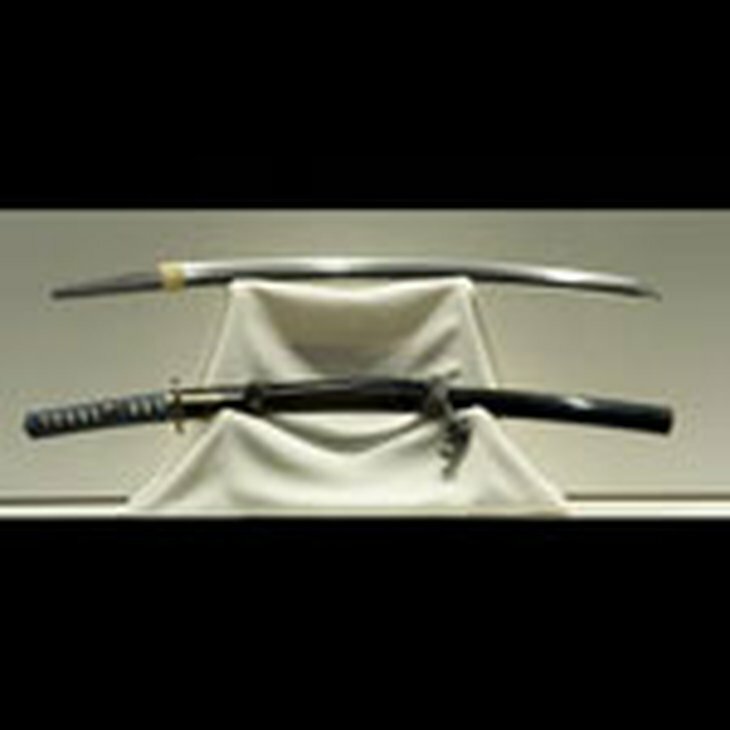 This is because of his sustained commitment to certain themes that he pursues over many years. These two works represent two such themes in Kiefer's development and although they look very different as objects they are two sides of one key idea in his mature work. The horizon in Kiefer's work is always more than a landscape feature, it is highly charged symbolically. 'Glaube, Hoffnung, Liebe' 1984-86 in the Gallery's collection includes a propeller which has the potential to fly over the horizon transcending the boundary between heaven and earth. 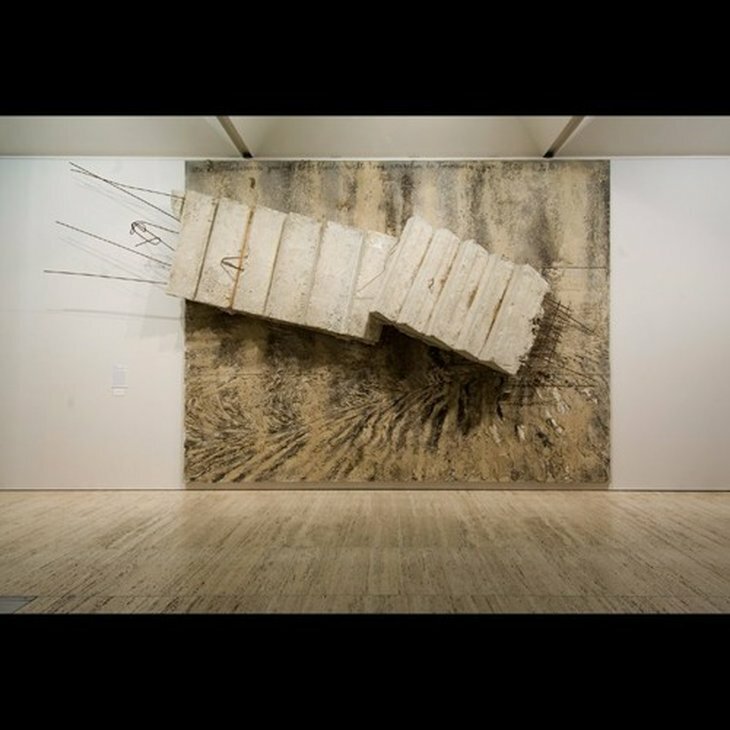 In many of Kiefer's paintings and sculptures there are ladders, wings, rockets, Ziggurats, snakes and rainbows that all in some way suggest the idea of transcendence. The broken stairs in 'Von den Verlorenen gerührt...' correspond to the broken propeller suggesting the dream of climbing above the horizon and yet it is a dream that is doomed to fail. 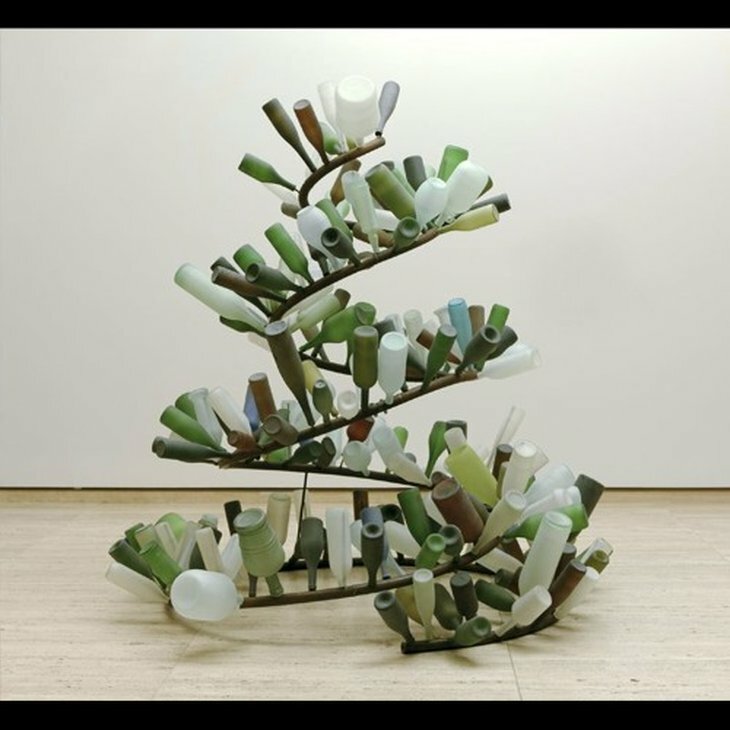 This ambivalence towards transcendental aspiration is common to much art of the late twentieth century. 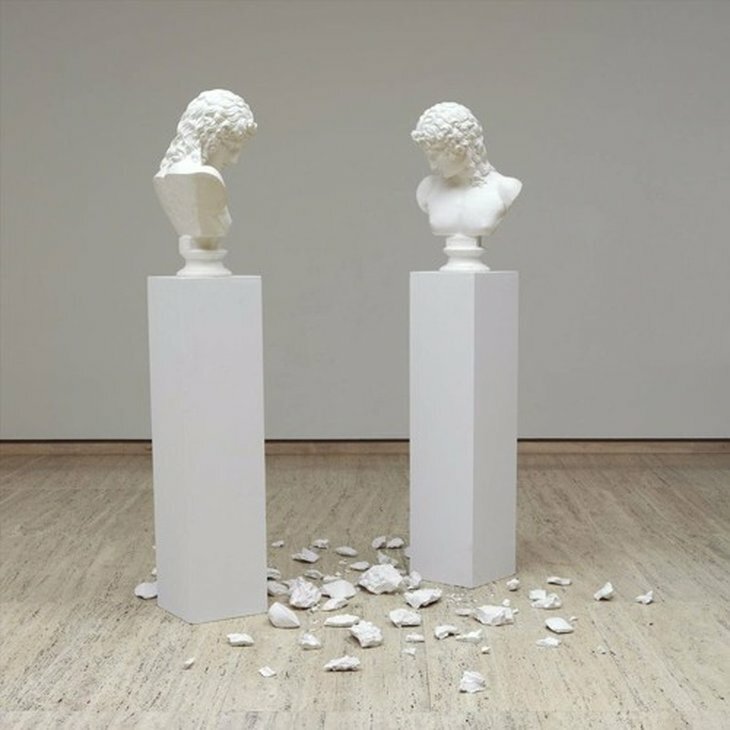 For example Ken Unsworth's sculpture 'Rapture' 1994 in the Gallery's collection takes the form of a stairway to heaven frustrated when the stairs made of the keyboards of a grand piano arrive at the body of the piano which is stuffed with straw and will never sound the music of the spheres. 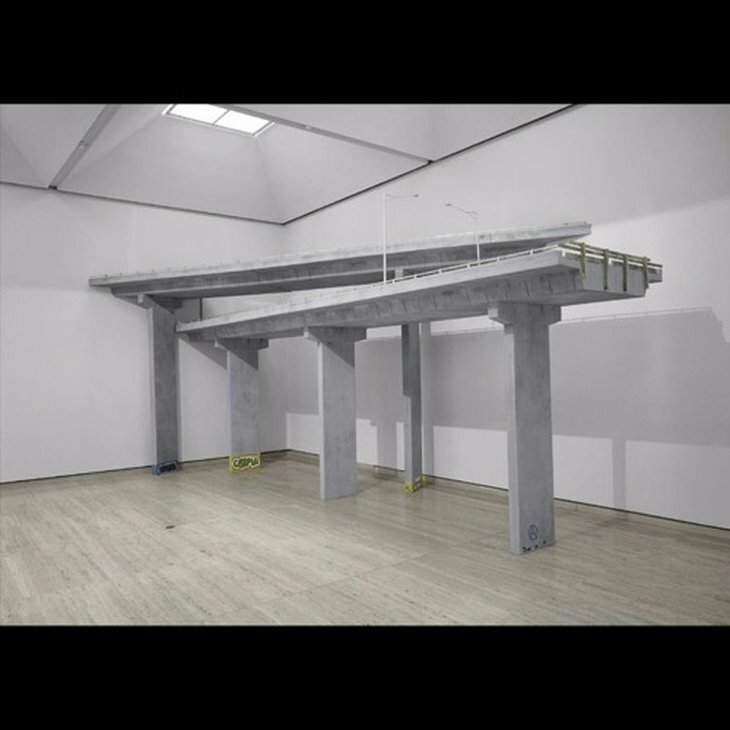 The floor installation belongs to a body of works that reverse the passage between heaven and the earth. 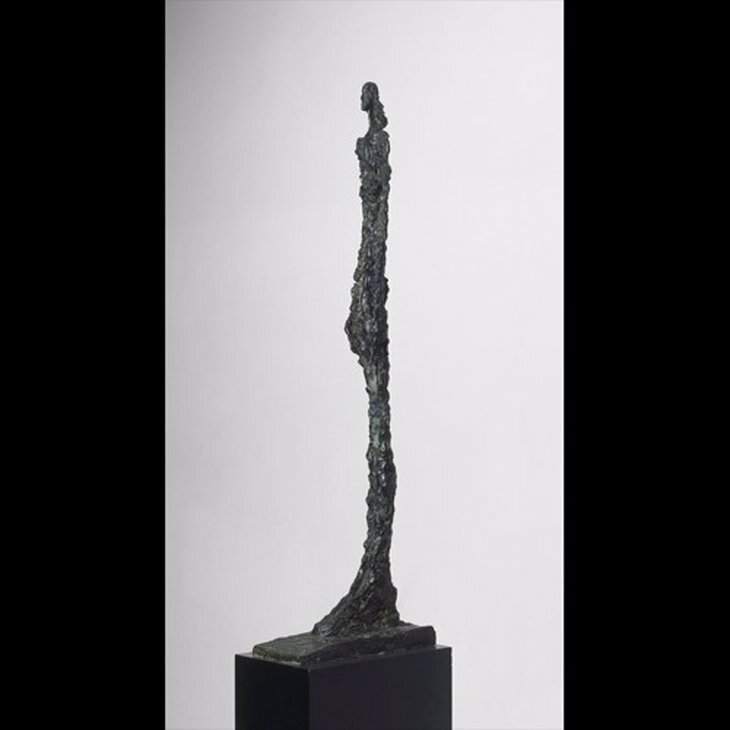 This is often represented by emanations from above sometimes in the form of poured lead attached to a painting or hanging in space like the finger of God. 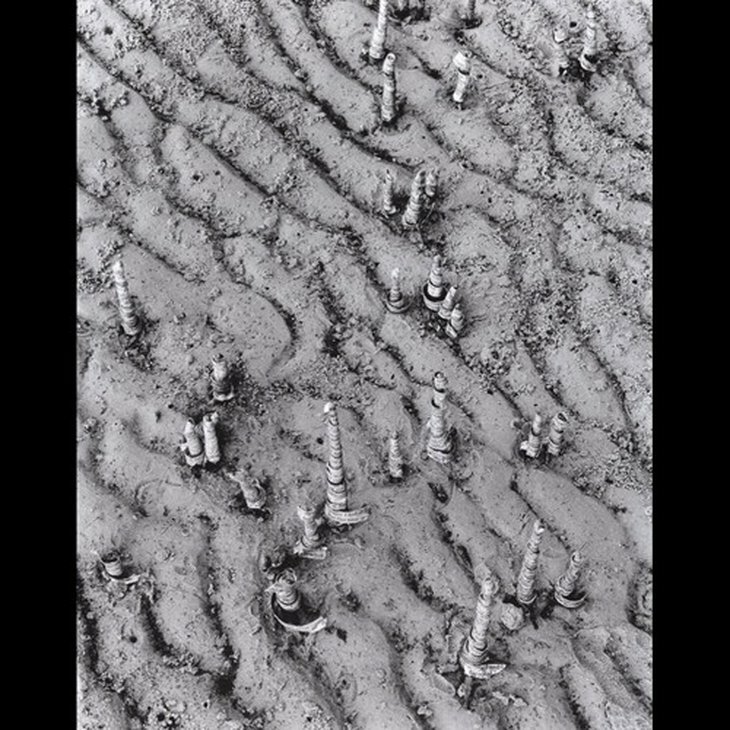 Many of Kiefer's recent works have more to do with the stars which according to the 16th century philosopher Robert Fludd each have their equivalent in a flower on the earth. Here we see a pile of glass plates that have fallen as a shower over piles of human hair (material human presence). Inscribed with one of 9000 star numbers, each piece of glass represents a heavenly intervention or emanation. 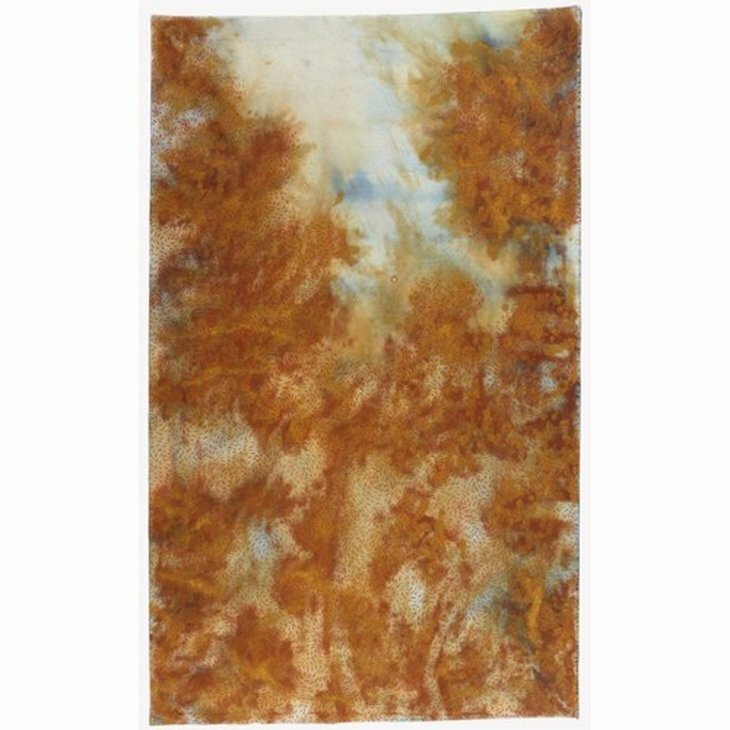 Human hair is woven throughout the glass in a reference to the Egyptian Queen Berenice, who often appears in Kiefer’s works in the form of long locks of hair. 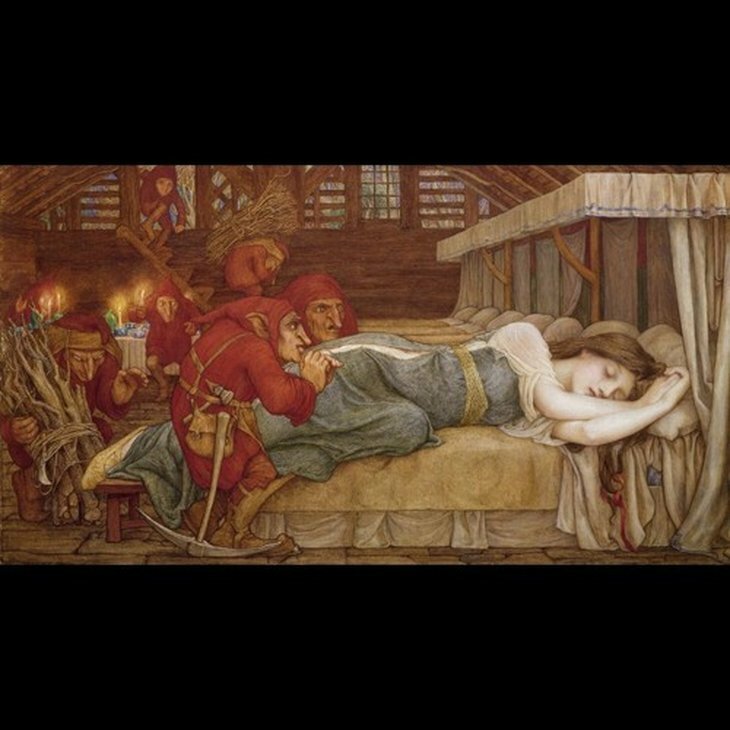 Berenice was famous for her beauty and as an offering to the gods to bring her husband safely back from war, she cut her tresses and placed them on the temple altar. The Gods were so pleased with the offering that they took the hair into the sky where it became the constellation Coma Berenices (Berenice’s hair). The constellation of Coma Berenices is centred between Canes Venatici to the north, Virgo to the south, Bootes on the east and Leo on the west border. The following text is taken from the 2005 exhibition literature when these works were first shown in London: Kiefer's elegiac oeuvre is based on a vast system of themes and references relating to the human condition, explored through a highly emotive use of material and medium. In his muscular artistic language, physical materiality and visual complexity are equal to the content itself, which ranges over sources as diverse as Teutonic mythology and history, alchemy, apocalypse, and belief. As corollary to this breadth of content, Kiefer employs an almost bewildering variety of materials including - in addition to the thick oil paint that is the base of all his large-scale works - dirt, lead, models, photographs, woodcuts, sand, straw and all manner of organic material. By adding 'real' materials to the illusionistic painted surface of his gigantic tableaux, he has invented a compelling 'third space' between painting and sculpture. Few contemporary artists match Kiefer's epic reach; the provocative and paradoxical nature of his work suggests that he embraces the notion of the modern artist who stands resolutely outside society, flaunting its histories, its taboos and its myths. By assimilating and utilizing the conventions and traditions of history painting, he goes beyond them, mingling viewpoints and presenting contradictory interpretations while emulating the genre's grandiloquence. Anselm Kiefer was born in 1945 in Donaueschingen. 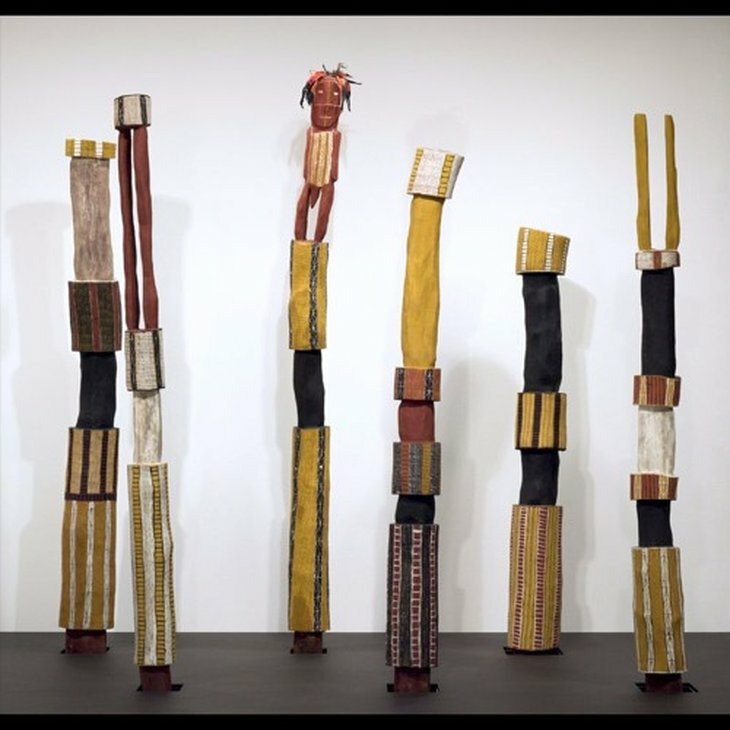 As a young artist in a Germany reeling from the after-shocks of the Second World War, he opted for a thoroughly and obviously indigenous art, of native subjects, values and symbols that contended with the fraught territory of German history and identity. 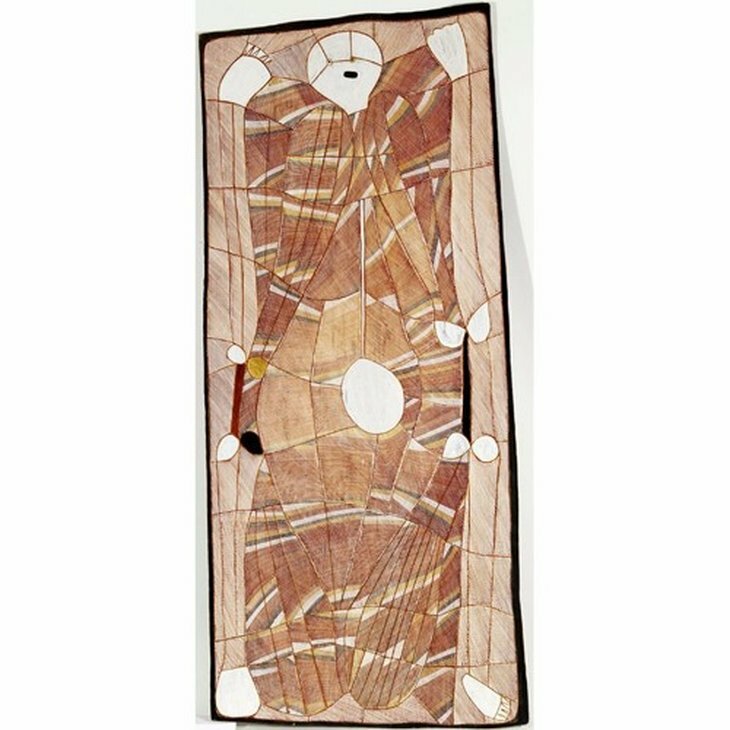 In the late 1970s he started to make large, highly worked books that began with photographs staged in his studio, gradually gaining body through the application of lead, paint and other collage elements. 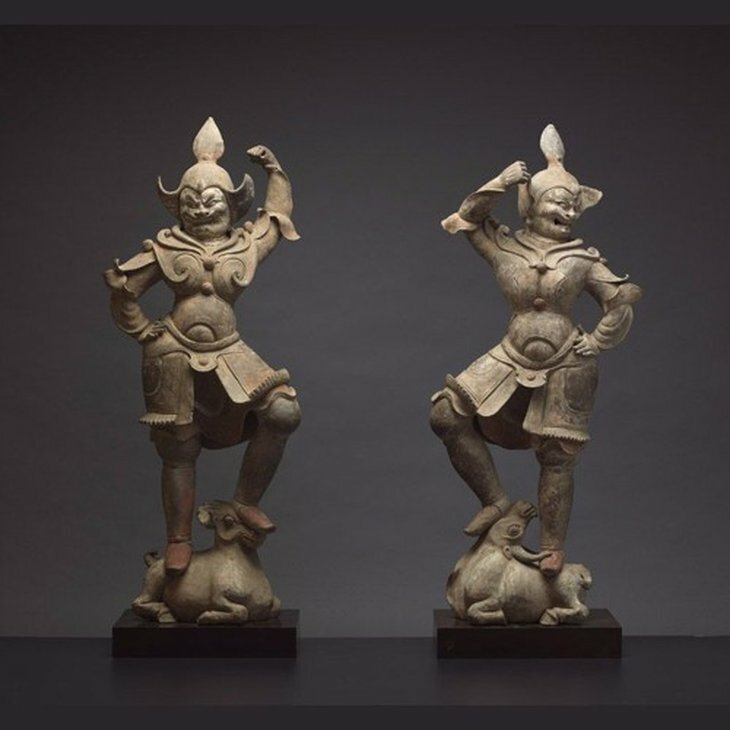 These impressive objects indicated the way to the complex, process-oriented works of his mature period. 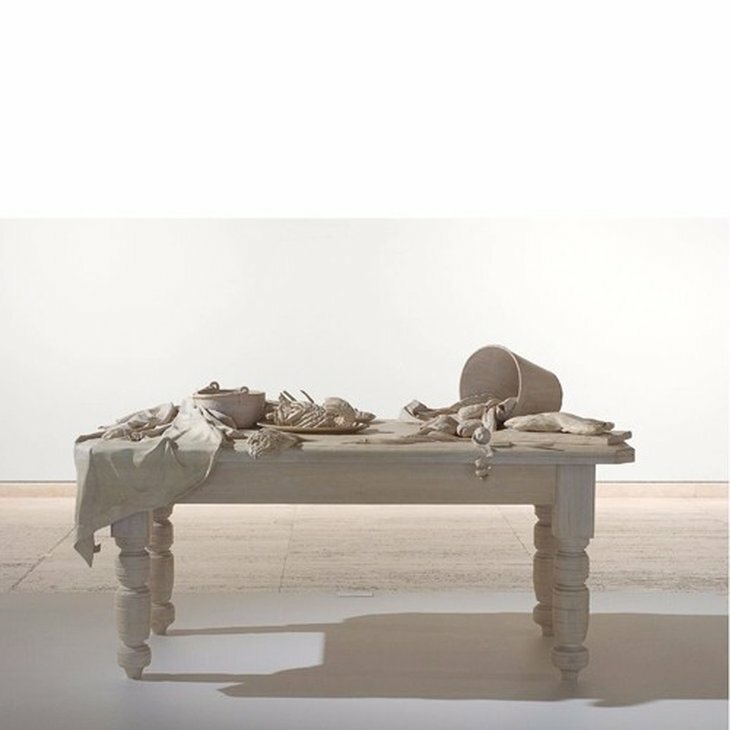 In 1991 Kiefer left Germany, eventually settling in the south of France. In the same year he made an exhibition of paintings stacked randomly on top of each other as if discarded. This led to a hiatus in his art production that lasted more than three years. 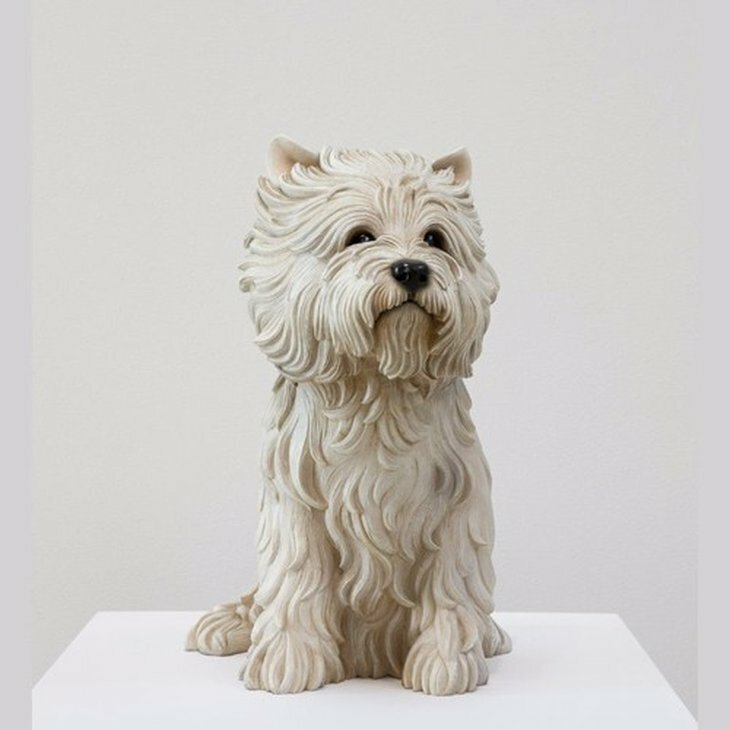 After this he began making new work with a wholly new subject matter, themes and references, dealing with central spiritual and philosophical concerns of our time. Over the past four decades, Kiefer has exhibited his work extensively throughout the world and is included in the world's most prestigious public and private collections. 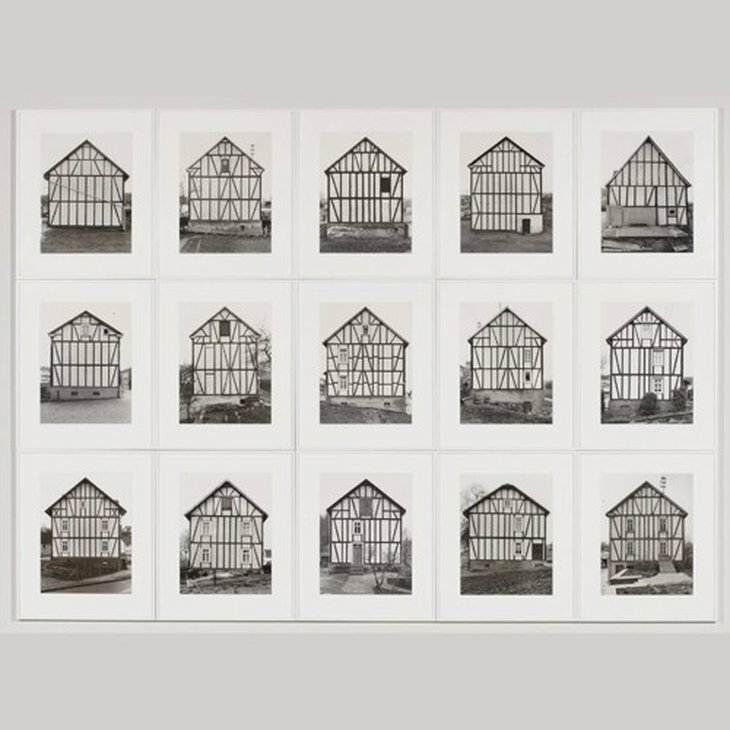 Through photographs, objects and installations Simryn Gill considers how we experience a sense of place and how both personal and cultural histories inform our present moment. 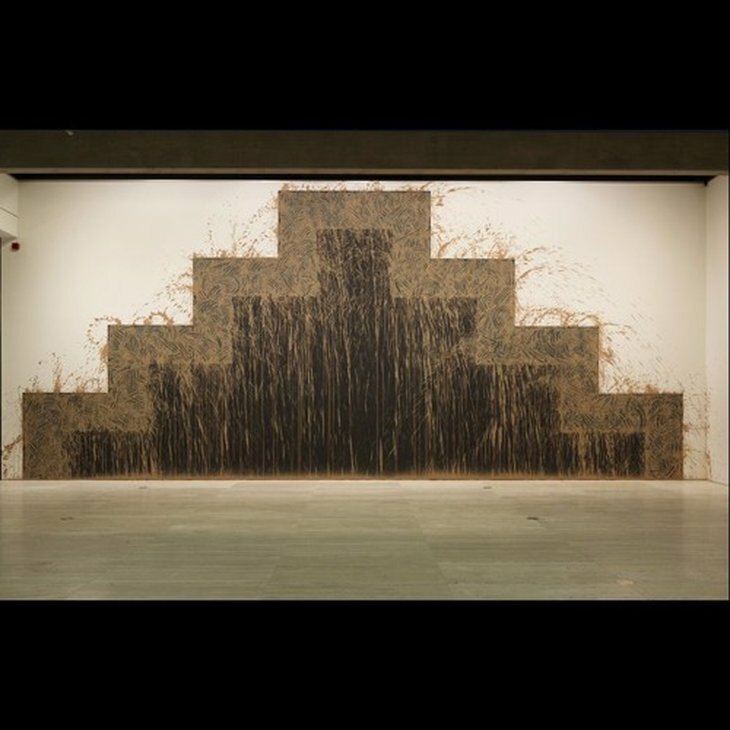 Her work also suggests how culture becomes naturalised, an almost invisible part of our physical environment. Gill often works with books, narratives and texts that provide a framework through which we order and describe the world around us. 'Forest', has the appearance of an etymological proposition where Gill quite literally takes printed words back to roots. Not their roots, as in the source of their meaning, but rather the growing, evolving, decaying nature from which the raw material for books is derived. Gill tore up the fibrous matter of book pages and grafted fragile strips of text into the natural environment. Attached to tropical plants, they look like natural forms, becoming exuberant banana florescences, dangling aerial roots on fig trees, mangroves emerging from mudflats, variegations on the leaves of lush tropical foliage and decaying vegetation at the base of epiphytic ferns. The original plant interventions occurred in places where a tamed nature was in the process of becoming wild again, in decrepit gardens and decaying buildings in Malaysia and Singapore. There is something of a 'lost cities' quality to these works, as nature is in the process of reclaiming culture if not civilisation. Gill's photographic records of her interventions recall botanical drawings and are printed in subtle tones of gray. In keeping with their observational purpose, they depict space up close and there are no vistas, faraway horizons or the distant sublime. They have something of the claustrophophic closeness and rank fecundity of tropical vegetation, which taxed the romantic imaginations of the 19th century. Gill's text has only a brief life out in the landscape as, if it is not eaten by insects, it rapidly rots away under the onslaught of the elements. While we may suspect that culture is impermanent, evolving and probably contingent, we do not really expect such classics as 'Frankenstein, The origin of species or Robinson Crusoe' to become 'cultural compost'. Gill has developed a form of wood-pulp fiction in which she 'literalises the landscape', stories and legends have taken root off the pages of books and grown into a fantastic local flora of transplanted narratives. 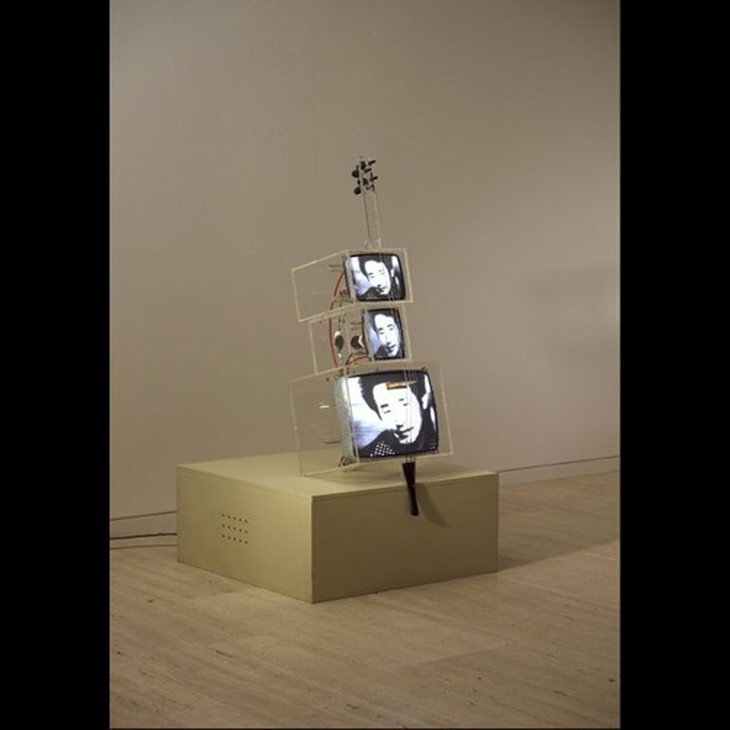 Nam June Paik was a pioneer of video installation in the early 1960s. Associated with the international conceptual movement Fluxus, Paik regularly collaborated with other Fluxus artists such as Joseph Beuys and George Maciunas. 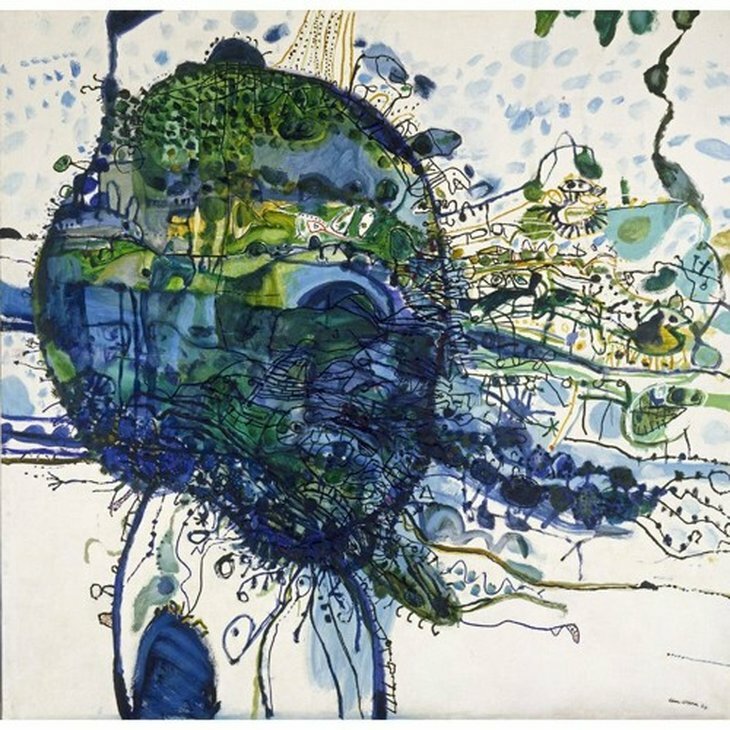 In 1976 John Kaldor invited Paik and his collaborator, the cellist Charlotte Moorman to create a Kaldor Public Art Project in Australia. As part of the project Moorman played the ‘TV cello’. Made from three televisions removed from their sets so that their inner workings can be seen, with an attached cello bridge, tailpiece and strings forming a cello-like instrument. ‘TV Buddha’ was also made in Sydney in 1976 using an old wooden Maitreya (Buddha of the future) from the Kaldor collection. 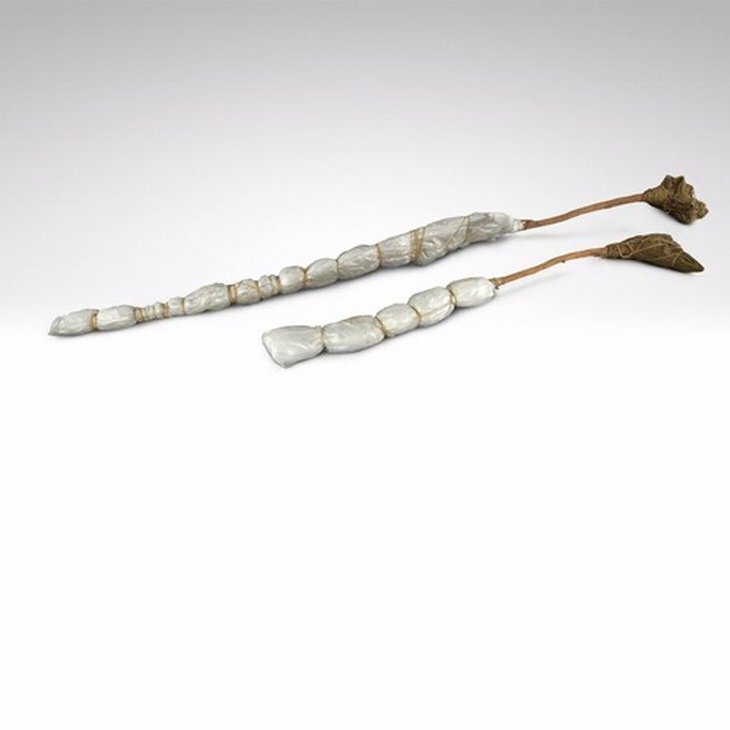 ‘Kaldor candle’ was made in 1996 for John Kaldor, who remained friends with Paik until the artist’s death in 2006. 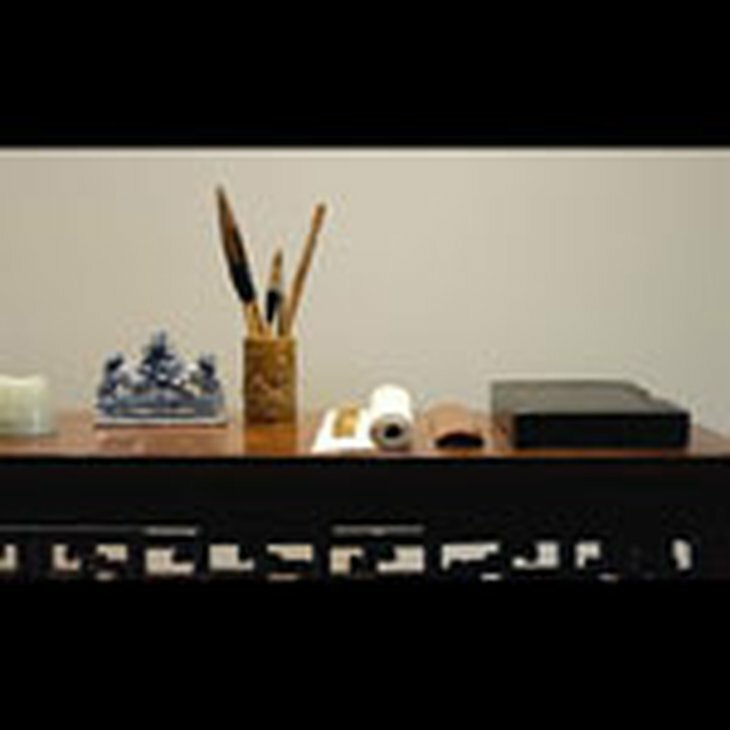 Both ‘TV Buddha’ and ‘Kaldor candle’ employ a conceptual use of video – first developed by Paik – in which a camera and a monitor loop in real time, blurring the object–subject distinction. This feedback idea was used by leading conceptual artists in the 1970s, including Bill Viola, Dan Graham and Mike Parr. 'From thunder and summer rains on the high South African veld to a day’s work in Sydney. A terracotta clay and water work made with a fast hand. I make one part of the image, and the forces of nature make the rest. The macro-scale and the micro-scale, deliberation and chance. I walk away with bats flying high over the Domain.' Richard Long 2011 Richard Long has made the act of walking in remote and extraordinary landscapes into an art form. It is during these walks that he arranges natural objects such as rocks into geometric forms which he then photographs. 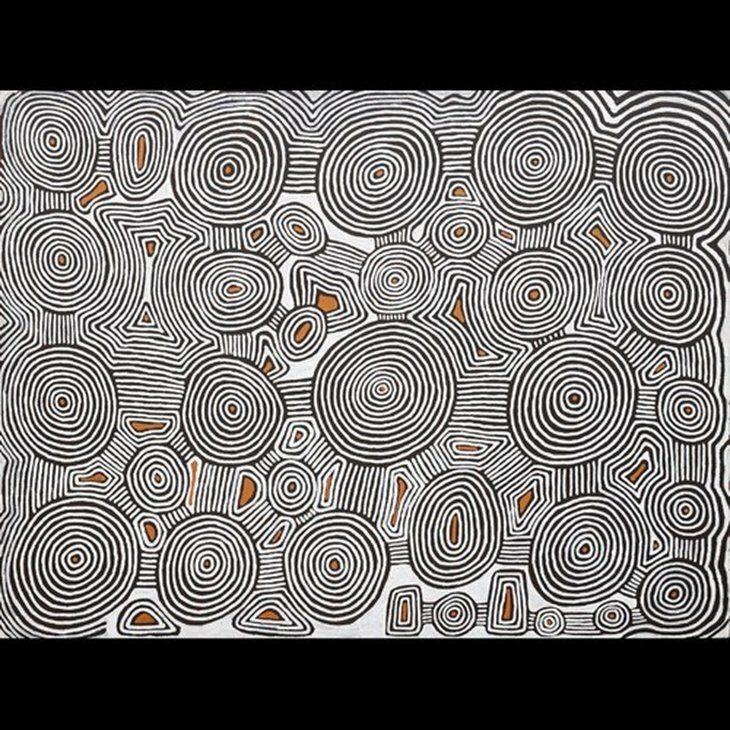 ‘Southern gravity’ was commissioned by John Kaldor specially for the John Kaldor Family Gallery. Long’s mud drawings relate to the water lines poured over rock shelves that he often makes on his walks. Like the artist’s stone works, ‘Southern gravity’ is based on a geometric shape but the application of the mud is done with such an intensely energetic movement – akin to a ritual dance – that striking traces of the artist’s hand gestures are left behind. The wet mud splashes, drips and sprays over the underlying geometry, expressing not only the speed of execution but also the effects of gravity. The finer drips create the impression of a shower that is almost like the rain in a Hokusai print.